Toni Braxton has a music career that spans over 20 years that include much recognition for her amazing talent with 7 Grammy wins, more than 60 million albums sold & so much more. After last years premiere of her made for television movie Unbreak My Heart on the Lifetime network many are realizing the big impact her music has had on the past two decades of the r&b genre of music. 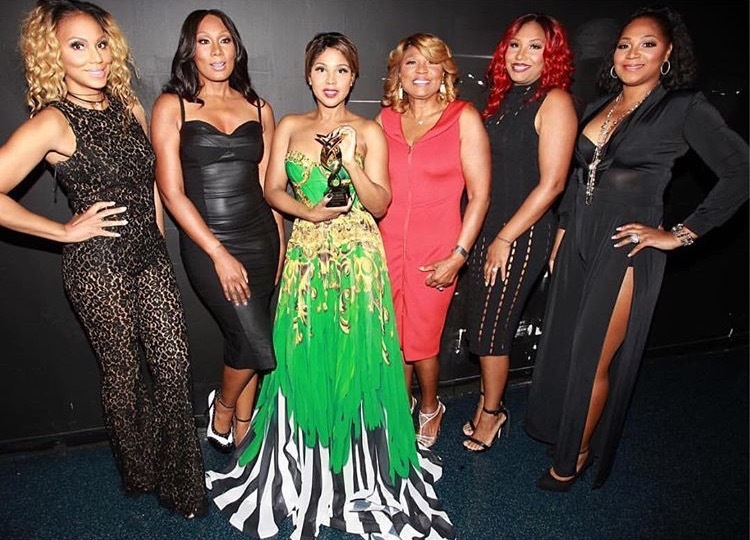 Over the weekend Toni was blessed with a music tribute in New Orleans at the Essence Festival. Celebrities like Eric Benet, Kelly Price, Kenny Lattimore & her sisters, Tamar, Trina, Traci & Towanda all took the stage to sing a few of her past hits. The acts took the audience down a 90's memory lane with "Breathe Again", "Unbreak My Heart", "Another Sad Love Song" & so much more. Watch it after the jump.